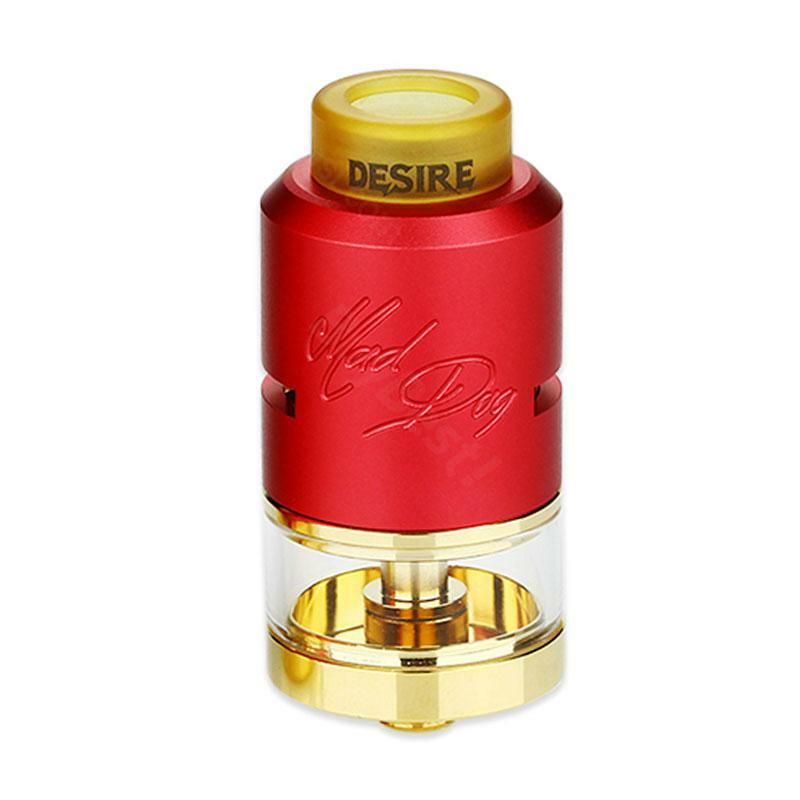 Desire Mad Dog RDTA is a rebuildable dripper tank atomizer with 7ml e-liquid capacity tank. 24mm in diameter perfectly compatible with Desire Mad Dog RDTA Mech Kit. It is available for both single and dual coils for your different needs. Get it for an excellent vaping experience. Best RDTA fits my big flavor needs, like buybest! Fast delivery and free shipping! Desire Mad Dog RDTA has a beautiful appearance, also give me a good flavor. Everything works well so far. The Desire Mad Dog RDTA boasts a 7ml juice capacity and a large build deck with options for both single and dual coil. Love it very much! Fast delivery and free shipping. It took about two weeks arrived, undamaged. Love mad dog rdta,love buybest! Habe Desire Mad Dog erst seit einer Woche, bin aber bis jetzt zufrieden. Die Lieferung und der Kundenservice sind wirklich sehr gut gewesen. Immer wieder gerne. I ordered Desire Mad Dog on buybest, it took a few days to arrive, also arrived safely, love it!